TONIGHT, 100 years ago, the British Fourth Army prepared to go over the top. 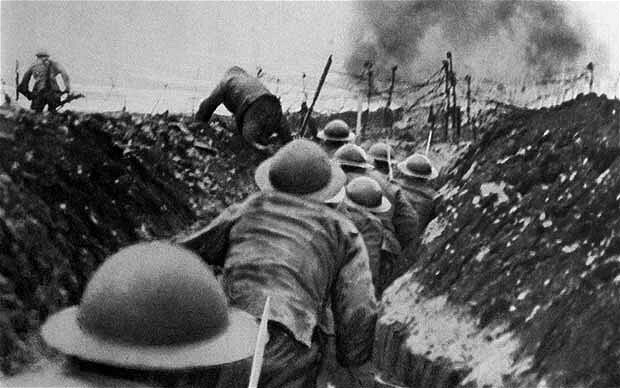 In the morning the Battle of the Somme began. It would last five months, but 1st July 1916 still stands as the bloodiest day in the Army’s history. On that one day, the Fourth Army suffered 57,470 casualties. Many of them were from the “pals battalions”, men recruited in local drives so friends and brothers could serve together. It’s for this reason that many town and village war memorials repeat the same surnames on the Great War’s roll of honour. SO JEREMY, HOW DO YOU THINK THAT WENT? I told you this would be comedy gold. JEREMY CORBYN’S bid to take the heat off his leadership could have gone better, I think. In today’s launch of the “independent” (ehem) report into Labour Party anti-semitism, he managed to compare Israel to ISIS. He might as well have got Ken Livingstone in to talk about Hitler. This beautiful catastrophe just never ends. Oh, and now we learn that Labour MP’s have received death threats after refusing to back Corbyn. It tells you how far out things are that this last one doesn’t even make the prime news bulletins. That’s the new kinder, gentler politics. Still, things are about to look up for them. The Chilcot Inquiry into the Iraq War is out in six days’ time. THE TORY PARTY suddenly has the whiff of the late Roman Republic. David Cameron’s resignation has sparked off a leadership contest. Whoever wins will both lead the party and become Prime Minister. Nominations had to be submitted by lunchtime today. Boris Johnson was a favourite. He’s, well, he’s Boris, very well known and fresh from leading the Brexit charge. Theresa May slung her kitten heels into the ring this morning. So did Andrea Leadsom, who impressed on the Brexit campaign, and who is refreshingly leery about this climate change malarky. That was about it really, until Michael Gove blew up the contest. He was going to be BoJo’s campaign manager. They were a tag team in the EU referendum, leading Vote Leave. Then just before Johnson was due to give his nomination speech, Gove sent out an email announcing that he’ll stand. BoJo was so deflated he backed down. That’s a PM and Boris Johnson that Gove has napooned within a week, and he’s friends with both. Talk about ruthless. I’d accept Gove or Leadsom. Both are fierce Brexiteers, which I think is a pre-requisite for the next PM’s CV. Both are intellectually up to it, and both are calm. Theresa May has been the Home Secretary for some years now. She’s authoritarian, slippery, an immigration failure and a Remainer, the choice of Tory Remain losers to backslide on Brexit. She is not fit to be PM. The next PM’s priorities stretch to one thing only: to get the best possible Brexit deal. That means someone who is ideologically committed to the job. Gove or Leadsom must win. Expect, therefore, the Tories to elect Theresa May. 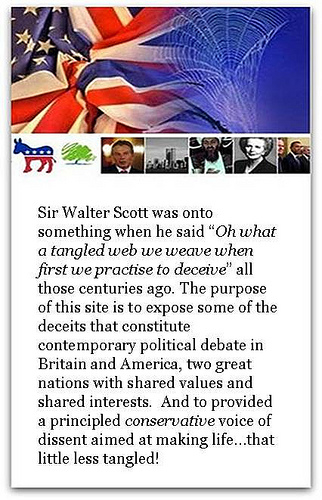 HAVE a look at the Labour Party. I actually can’t keep up with it, and I’m a newshound with a native’s instinctive knowledge of his country’s politics. Every hour brings new resignations, new walkouts, new fights and new demos in support of Comrade Corbyn. In short, Corbyn (a hard Left Trot) was elected by the party membership (and three quid Tories who joined the party just to vote for him – thanks Miliband). Labour’s MPs never wanted him, but were lumped with him. His shadow cabinet has been resigning since the weekend, I think 95 so far, including one who walked out two days after promotion. A confidence vote by Labour MPs on Monday saw Corbyn lose 174 – 40. Everyone with two brain cells in the party wants him to resign, but he won’t go. The union paymasters, some party members and a Socialist Workers Party faction want him to stay. The Guardian and The Indy, both left-leaning papers, report today that anti-Corbyn MPs are considering splitting away. This is back to the 1980s, when far-Left militants made the party unelectable and almost broke it. In fact it’s even worse than that. Foot and Kinnock never presided over such a shambles, and that was a proper shambles. What’s happening is that Labour MPs want a return to politics and elections while Corbyn wants to lead a social movement with no regard for power. It’s tearing Labour, the party of Ramsay McDonald, Atlee, Hugh Gaitskell, Wilson and Blair, apart. Which is absolutely hilarious. And by the time you read this, something else will have happened. 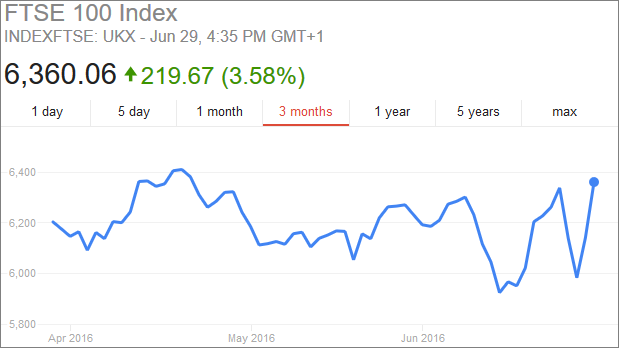 The FTSE 100 closes tonight above where it was on Independence Day, hitting a two month high. That was your recession, carry on now. Sterling’s back up as well after the immediate sell-off, as vast bets against Brexit unwound. Some good would come from it staying at a lower level. There will be recessions in future. In or out of the EU, there will be recessions (or “market corrections”). It won’t have have anything to do with Brexit, although Brexit will get the blame. It may even spark off great realignments, as capital is reallocated in accordance with new facts. And all along, as always, there’ll be market turbulence. It’s business as usual as markets adjust, and adjust they always do. For now, central banks are still in printing mode, still concerned with liquidity and keeping interest rates low. 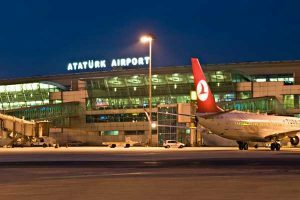 Yesterday, there was an atrocity at Ataturk Airport, one of the busiest in the world. It was likely committed by ISIS. Less than 24 hours after the crime, travelers were sipping coffee at airport cafes, waiting for their flights. The airport was actually open for service. The Turks and the Israelis apparently use the same playbook – after an incident, they don’t give the terrorists the satisfaction at any sustained disruption. They reopen at lightning speed. A tip of the hat to the Turks here. IT looks like there’s a new game in town. President Obama has backed up the bus from his warnings and blah blah of a few weeks ago. Back of the queue? Oh, ignore all that pre-Brexit stuff. That was just hysteria, he reckons. Yes, we knew that. Just as well some of us stayed sane, eh? In this new word, it seems that some Washington lawmakers are interested in discussing trade with the UK. Talk seems to be of a three-way trade deal with Canada. A common language, a common law, it wouldn’t take long. But hark, what is this? The old habits of Empire didn’t didn’t really go away, and the ANZACS are always good company. The Anglosphere was broken apart in 1972, but like a vast new planet forming, the pieces are coming back together. But hang on, what are these foreign Johnnies saying? Woah everyone, calm down. We’re back on the map and open for trade (as long as the Tories don’t stuff it up). Everyone wants us all of a sudden. So much for turning our back on the world. By the time we’re actually done and dusted with the EU the old place will be booming like never before. 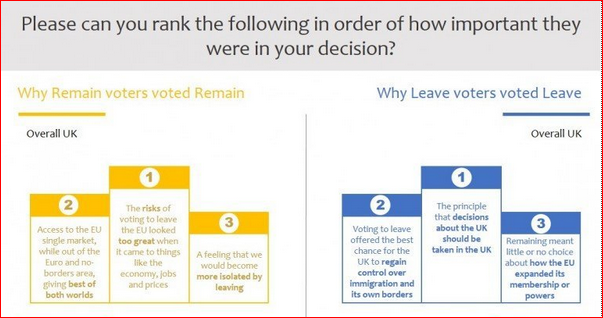 In short then, we Brexiteers are moved by fellow feeling, our social conscience, the feeling that we all count and that we all have a valid contribution. Remainers are motivated by Mammon, greed, and the worship of wealth. A tumultuous summer brings forth a beautiful image. 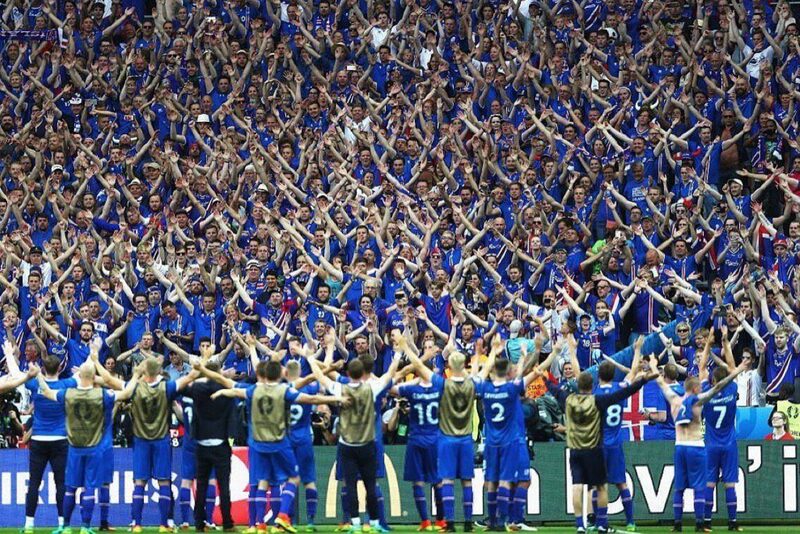 While England tears itself apart, yet again, over another calamitous tournament exit, all nationalists had a victory last night.